A third-person perspective fantasy action game created by Sony. It is one of the best-reviewed games in the history of PlayStation 2. Shadow of the Colossus follows a young traveler named Wander who explores a fantasy world on his horse. Shadow of the Colossus for PS2 is an action-adventure game developed by authors of the critically acclaimed production called Ico. The main protagonist is a young boy who travels on a horse. Days and nights he passes through mysterious lands in order to place the body of his loved girlfriend on an altar in abandoned lands. A powerful lightning strikes the earth when he does that. The boy hears voices from above that tell him that in order to reclaim the soul of the girl he must rid the lands of colossus statues. In the abandoned realm, there are only the boy, his horse and giant, moving golems that appear with each strike of the lightning. The player follows a determined boy that must destroy mysterious creatures. Some traits and looks of the statues are similar to animals and... humans. The stone golems are able to run, jump, swim, fly and even throw the elements of their surroundings. They can even demolish many buildings. Various tactics works on different colossuses. Some enemies are resistant to damage dealt with a specific weapon, some must be cut into pieces. Other enemies lose energy only after they are hit in a weak spot. The main protagonist isn’t hopeless. He is well trained in fighting with various weapons. He can climb on colossuses, shoot arrows and use the environment to lure the opponents into a trap (throw a rock at them, push them of a cliff or drown them). In addition to that, the horse of the protagonist can be used as mobile bait for enemies or as a fast mean of transport that allows quickly escaping a place that will be attacked. He has a separate artificial intelligence system that allows him to run on his own in the area and avoid getting into trouble (for example, he keeps his distance from enemies, watches out for elements of his surrounding like trees or a cliff edge). 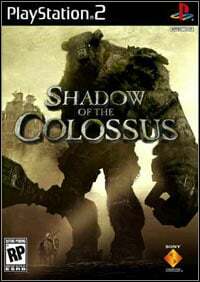 At first Shadow of the Colossus for PS2 was announced as Nico and it was supposed to be a direct continuation of the plot started in Ico. However, a decision was made to make it a separate production. Fumito Ueda and Kenji Kaido, the masterminds behind both games, once again created a unique atmosphere of the world shown in the game. Both the graphics and sound refer to the medieval times. The game is filled with monumental buildings, giant territories and detailed characters. It all refers to more than just simple action – the feeling of loneliness, isolation and mystery is omnipresent while playing. Game score 9.0 / 10 calculated out of 1909 players' votes. Expectations before the premiere: 9.1 / 10 calculated out of 86 players' votes.